Venison ham, asparagus, poached pheasant egg and hollandaise. Parchment baked hake, cidre peas & broad beans, minted new potatoes. Herb crusted lamb rump, heritage tomatoes, wild garlic St George mushrooms and IPA jus. Stout chocolate mousse, orange struzel. Selection of cheese from The Grumpy Goat Reading. We’ll keep the beers a surprise for now but with each course you’ll be served half a pint, except for course 5 which will showcase a third of beer for each cheese. There are limited spaces for this one off event and unfortunately on this occasion we won’t be offering vegetarian, vegan or gluten free options. However, keep an eye out for future events designed specifically for the meat free. An exclusive dining with craft beer experience at the West Berkshire Brewery Taproom. 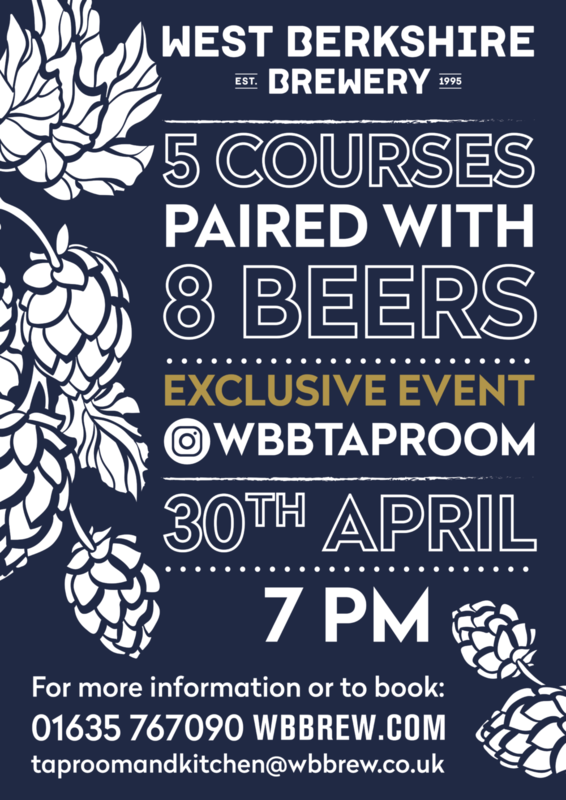 Five mouth-watering courses specifically designed with beer in mind, to enhance your flavour adventure.